During this week children watched the presentations of the other groups and exchanged messages and comments through the Scratch website. 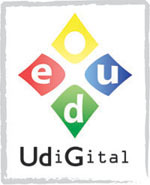 It's amazing to see how children from disadvantaged areas of both India and Catalonia, from very different backgrounds and learning environments, can chat using English and digital tools. Distances and times are not a problem on the Internet. It is necessary to highlight the incredible work that English teachers have been doing during last weeks in our participating Catalan schools. We share some examples of their conversations. 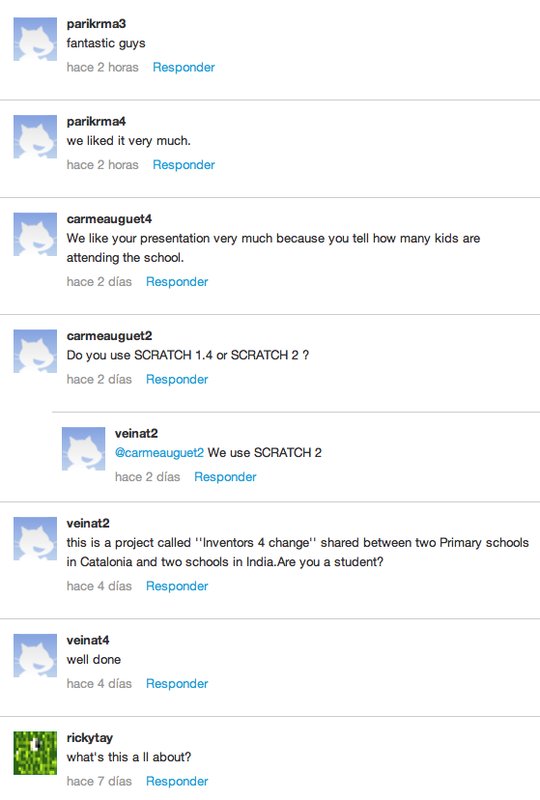 They are public, like all the presentations that they uploaded to the Scratch website (you can check the gallery here).